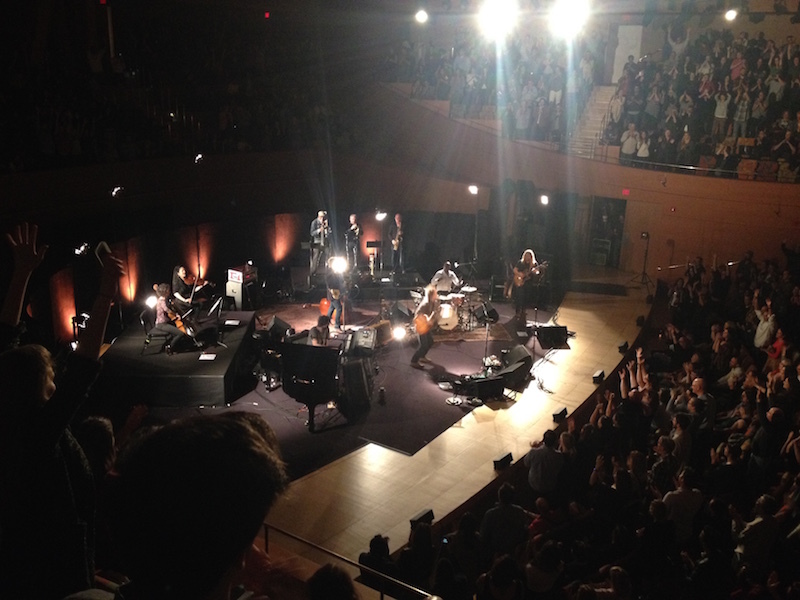 Notes (by Courtney): During last year’s truncated set at the Hollywood Bowl, Glen had promised he would make it up to us. 2 ½ hours? We’ll take it. Disney Concert Hall is a pretty magical space, but “we’re too loud for it,” the singer said, and he was right. Thankfully, the sound issues were (mostly) resolved, as was the slightly timid crowd (by standing up and shaking our limbs “like octopuses”), and the night flowed beautifully. Glen called back-row dwellers down to empty seats in the front, told stories of death and love and misdeeds, gently caressed his own arse – you know, the usual. The audience ate up Jeanie’s ‘McCormack’s Wall’ viola solo, Curtis’ rambunctious ‘Lowly Deserter’ trombone solo, and this section (après limb-shaking, of course), caused some to dance in the aisles. 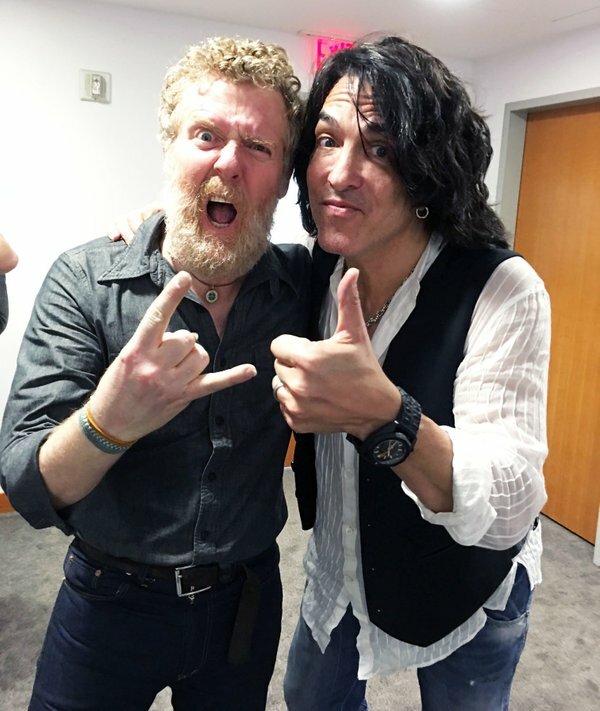 It seems it wouldn’t be a post-2007 Glen gig in LA without a celeb sighting: Paul Stanley of KISS was in the house, and got a bit of “CRAZY, CRAZY NIGHTS!” shouted at him from the organ loft, where Glen and Rob sang a gorgeous, mic-less ‘Gold’. Props to Rob are in current order – his harmonies are all-around stellar. ‘Auld Triangle’ demanded vocals from band and crew, including Jeanie and Simone laughing their way through the “female prison” verse, support act Aoife O’Donovan knocking one out of the park, and Leon and Fiacre singing “raise me wages” in unison, back to back (with arms outstretched) to acknowledge those seated behind the stage. It was a great vibe, and even after the house lights came on, Glen snuck the band back out for a gentle rendition of “Passing Through” to send us off into the night.